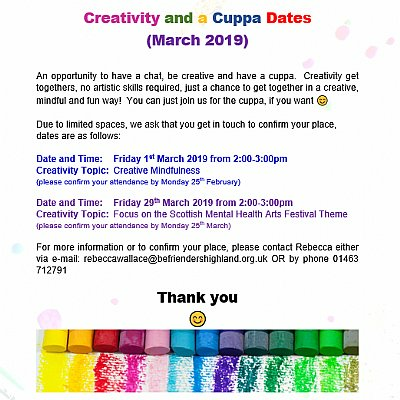 An opportunity for our Volunteers and Friends to have a chat, be creative and have a cuppa. Creativity get togethers, no artistic skills required, just a chance to get together in a creative, mindful and fun way! You can just join us for the cuppa, if you want. Both Events take place in the Befrienders Highland Office. Monday, November 26th 2018 Befrienders Highland Limited on Amazon Smile!